The Cat Radio is the official radio station for the University of Chester. 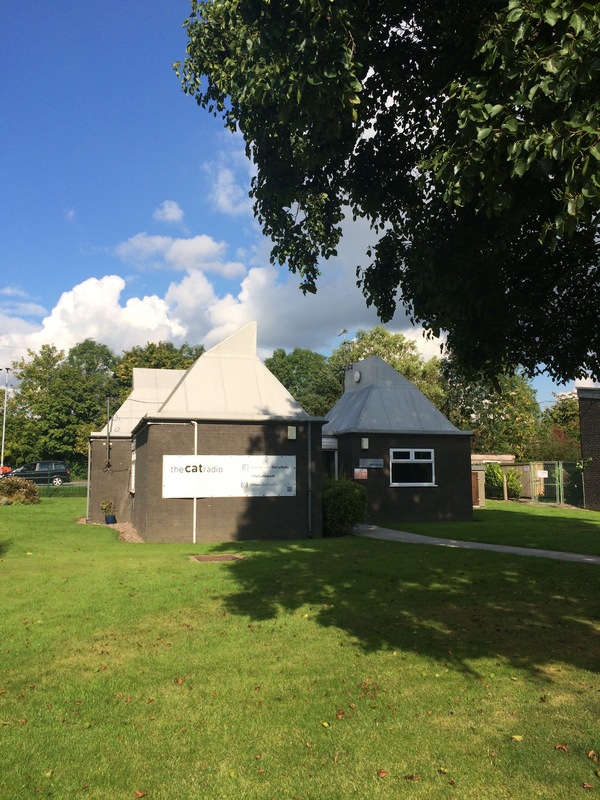 We're based at the university's Warrington Campus, home to the North West Media Centre and many of the institutions media programs. You can find the full programme schedule by clicking here. This includes details of all the shows for the coming week as well as which presenters are on when. Some of The Cat Radio programmes are pre-recorded otherwise known as voice-tracked using computer technology. These programmes may be broadcast at various times both during the day and night. All news content broadcast on The Cat Radio is compiled and sourced from Independent Radio News (IRN). Unlike many student radio stations around the UK, The Cat Radio is not operated as a society and we are not operated by the students' union, although we do share a close relationship with our union. This is to allow the station to be used in conjunction with with our students' courses as well as an extra opportunity outside of study. Due to this, much of the content you will be hearing on air will also be used for assessment! The current Station Director and Ofcom Licence holder for The Cat Radio is Michelle Ponting. The current station management team can be found by clicking here. The Cat Radio broadcasts a wide range of programmes. From specialist music to factual to entertainment. Each student brings their own interests and passion to the station with captivating stories and top contributors. The Cat Radio is one of a large network of student radio stations across the UK. We are proud members of the Student Radio Association and endeavour to provide opportunities for students to share their interests and passion. The Cat Radio's student listeners come from all corners of the globe and are studying a wide variety of courses ranging from policing to media to mathematics to theology. Whilst most are here to develop new skills, gain new knowledge and, of course, walk away with a degree in their chosen subject area. They're also here for new experiences, independence and fun! The University of Chester and the Warrington Campus are close knit communities where students from all courses mix and live together, creating memories and experiences that will last a lifetime. But it isn't just the students here on campus, our staff provide a wealth of experience, knowledge and perspectives and they want a piece of The Cat Radio action! There is constant lines of research taking place all over the institution and with interests extending from their own expertise. This audience love to listen and interact to conversation from a whole host of different people.